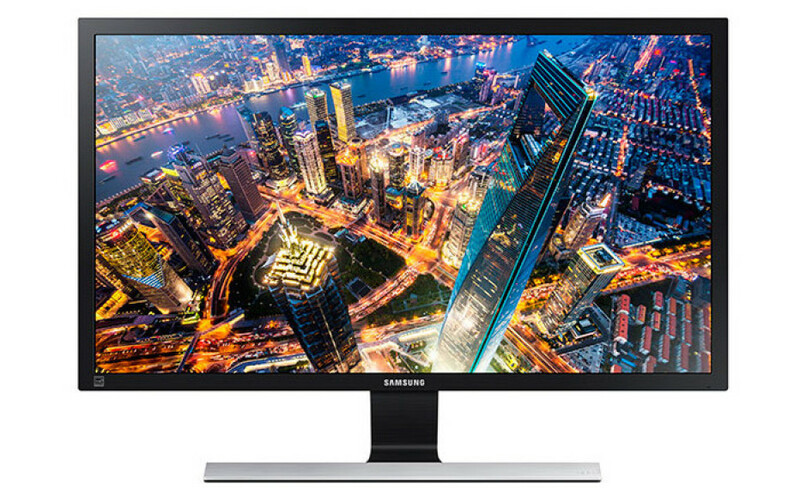 Samsung has announced the arrival of the U24E590D and U28E590D monitors, which happen to be the first Samsung monitors with support for both 4K resolution and AMD FreeSync. Not surprisingly the newcomers feature excellent image quality and various other features that make them real hardware gems. As you can see from the product names the two new monitors offer varying display sizes –the first one will treat your eyes with 23.6 inches of visual goodness, while the second one is larger at 28 inches. They both offer 370 cd/m2 of brightness, which further enhances the visual quality, all on a flicker-free screen. The monitors also support HDMI 2.0, which offers 60 Hz of frequency to view content smoothly and 1 ms of response time, which, however, is limited to the 28-inch model only. 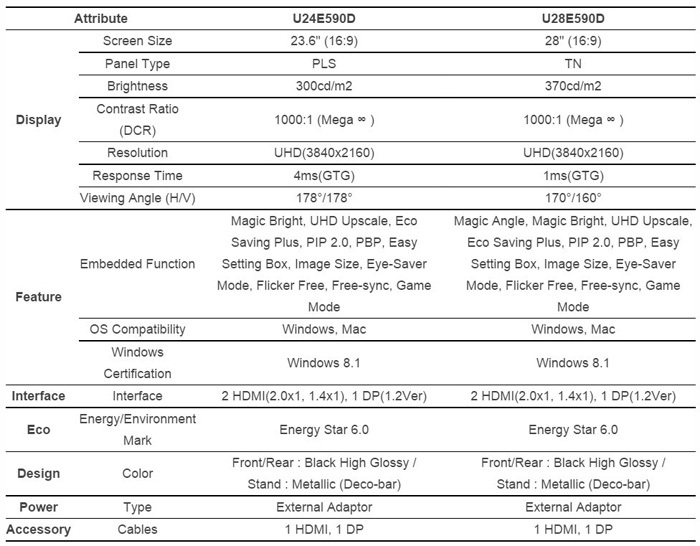 In addition to that the 28-inch U28E590D also supports 1 billion unique colors, which is 64 times greater than the colors that can be seen on a conventional monitor. Fortunately for potential buyers both displays come with Samsung Game Mode technology, which enhances the visual quality in low light conditions. The Samsung U24E590D will be available on July 26 this year for USD 399.99. The larger U28E590D model is available now for USD 599.99.